Tai Chi is the Principle of Balance and Qi Gong are the exercises that we use to cultivate and express it. Tai Chi Qi Gong has been used to restore and maintain the health of millions over the years. It is so versatile that there are systems designed for the elderly, for those with health conditions, for children and even for the military. If you are interested in learning the Martial Arts version of TaiJi Chuan, then come see us, and lets get started. You can also preview one of the instructional video’s. Read on to see how we have helped folks for many years, and have had fun along the way. If you already have health concerns or any Special Concerns, whether they are based in physical limitations, mental stress or emotional peaks, I can assure you that we have a platform to get you started safely and progress naturally at your pace. 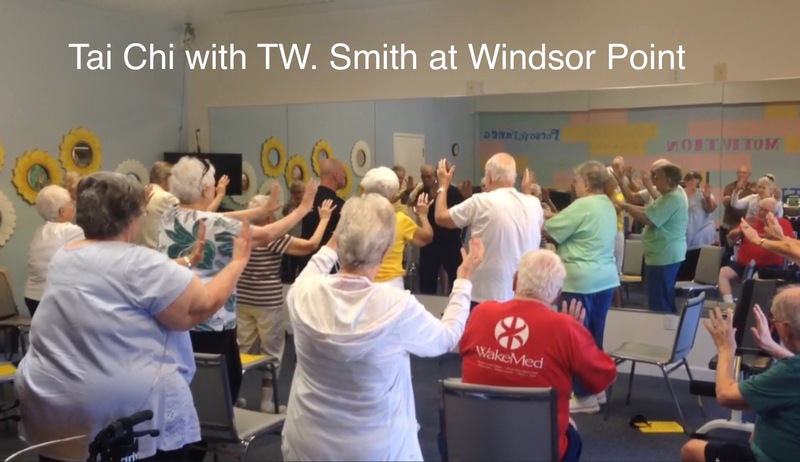 For some, Tai Chi QiGong is perfect, for others, our Yoga program resonates with them. Vertigo – Stroke – Vestibular Disorders – Hypertension or Vision Problems, you may find information helpful information here. We will schedule a Free Introduction with you, at your convenience. Our highly trained instructor will sit down with you, discuss your interests, concerns and personal schedule to design a program that will serve your needs. Time is one of our most important assets. Tai Chi and Qi Gong are time condensors. The value return in Tai Chi and QiGong exercises are amazing. In a comprehensive review of studies with 6,410 participants, across countries and ages, participants demonstrated improvements in many physical parameters, as well as emotional and mental components of good health. These were acheived within an average 15 minute 3-4 days/week program. QiGong provides a variety of exercises, and numerous ways to perform them. Built from a simple core, the exercises and routines provide you methods of training for strength, balance and/or relaxation, so you can feel your very best, and change it up with Tai Chi regularly. Having variety keeps people engaged in their programs longer and with more enthusiasm. Combined with a healthy diet and good hydration, Tai Chi and QiGong provide the next most important ingredients, Flow and Strength. Several students use our programs with a nutritional plan and have lost anywhere from 10-70 pounds as a result. No weights needed, no special outfits or gear. One of my ladies, 62 years, has lost 80 pounds in past year with our Yoga Program. The footprint for the Tai Chi and QiGong is incredibly small. Many of the routines can be performed on something like the size of a coffee-table or dinner-table. Inside of the condensed space you will accomplish excellent workouts. We purposely select ‘travel size’ exercises for those who need portability to their training.